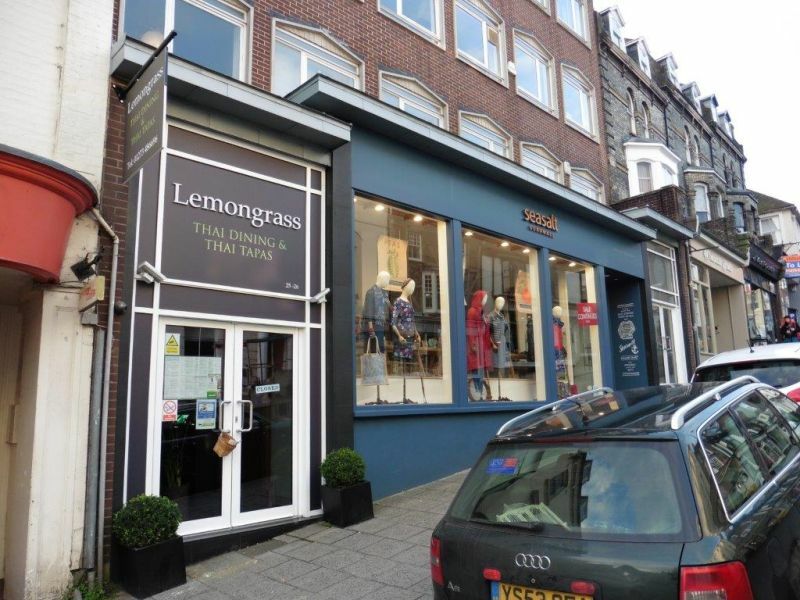 Oakley are pleased to announce that with the opening of the Lemon Grass Restaurant in Lewes, they have finished the refurbishment project and letting of Temple House in Lewes, upon behalf of private pension fund clients. The before and after transition of the building is quite stunning and is testament to the comprehensive property management service that Oakley have offered to their client in delivering this forward thinking scheme. Chris Oakley commented “We acquired Temple House in 2010 for our clients, as an office investment and at the time the ground and lower ground floor were occupied by Sussex Express as offices, but we knew they would vacate soon as their lease was expiring. The building was not one of the best looking properties in Lewes High Street, where there are many fine Listed Buildings of historic and architectural importance, so the 1960’s office block rather stuck out like a sore thumb! We identified the potential to convert the lower floors of the building and extend it out onto the High Street, to create an attractive new retail frontage”. Following the acquisition of the building, Oakley were tasked with Project Managing the whole process to include planning negotiations with Lewes District Council and running the project development team. Chris Oakley added “There was no way this 1960’s building could mimic the surroundings, so our brief to the planning team was to give the building a 21st Century facelift, that would sit comfortably within the High Street”. Upon securing planning Oakley, also took responsibility for running the supervision of the building works to create the new speculative retail and restaurant space, for which they had secured the planning permission. The conversion works were carried out sensitively, on time and budget for the Client and involved providing a new entrance to the upper floor offices, to which access needed to be maintained during construction. Colin Hamilton of Oakley’s management team played an active role in keeping the building operational through the comprehensive refurbishment works. Oakley’s Commercial Director Steven Harvey, was tasked with finding occupiers for the new space and delivered the first letting of the retail space, which extends to 2,200 sq.ft., to Sea Salt Clothing, who have become an exciting new addition to Lewes High Street. The lower floor was converted from a dark basement office, into an exciting restaurant space of 1,930 sq.ft., with an attractive rear courtyard. A letting to Lemon Grass Thai restaurant followed shortly after the Sea Salt deal and has now resulted in Temple House becoming fully let. Chris Oakley finished “Oakley continue to manage the entire building for our private pension fund investor client, which now offers them an attractive mix of restaurant, retail and office space in what is now one of the town’s most imposing central buildings”. He added “From start to finish we have offered our Client a truly inclusive property service, but we are also proud to have made a lasting and positive addition to the beautiful High Street of Lewes. The success of Temple House follows the completion of several other similar commercial projects that Oakley has successfully completed in Lewes and other Sussex towns. Within Lewes these include the conversion of Dial House, in the Eastgate Precinct where Waterstone’s took the ground floor retail space and the recent letting to Mountain Warehouse of 38 High Street.